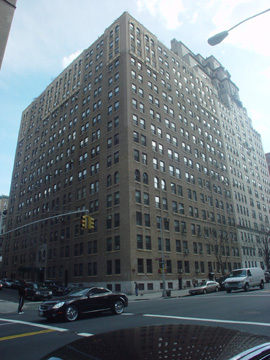 This light-brown-brick apartment building has a half-story limestone base and an unusual two-story entrance surround that is a protruding arch surmounted by two small angular elements. The building, which has sidewalk landscaping, a doorman and a concierge, but no garage, permits protruding air-conditioners. The building has a canopied, sidestreet entrance and its sidestreet facade has three multi-story window surrounds near the top while its West End Avenue facade has only two. 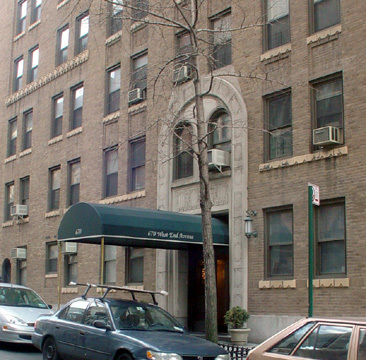 The building is convenient to Riverside Park and is not far from a subway station at 96th Street and Broadway.